Given on Rem Koolhass's On Countryside, he mentioned that instead of looking at urban development, countryside is the new playground for radical change. 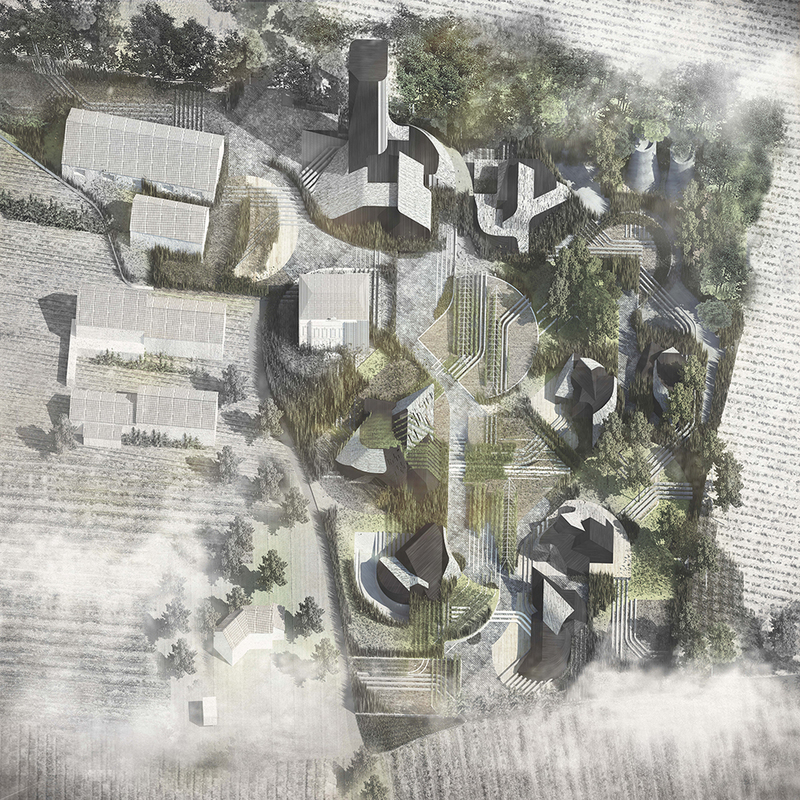 To further take on that notion, this project is challenging the norm and tradition of the countryside. What's the normality of countryside life? People work in the field outside and live their domestic life indoors. The boundary between production and living is clearly divided. How can we merge that distinction and redefine the country life? The project is trying to provoke this question: the crops doesn't grow in the field anymore, instead they grow under the roof, over the roof and go throw the building mechanicals, in that sense, the building in countryside becomes a new medium between the living crops and existing infrastructure. 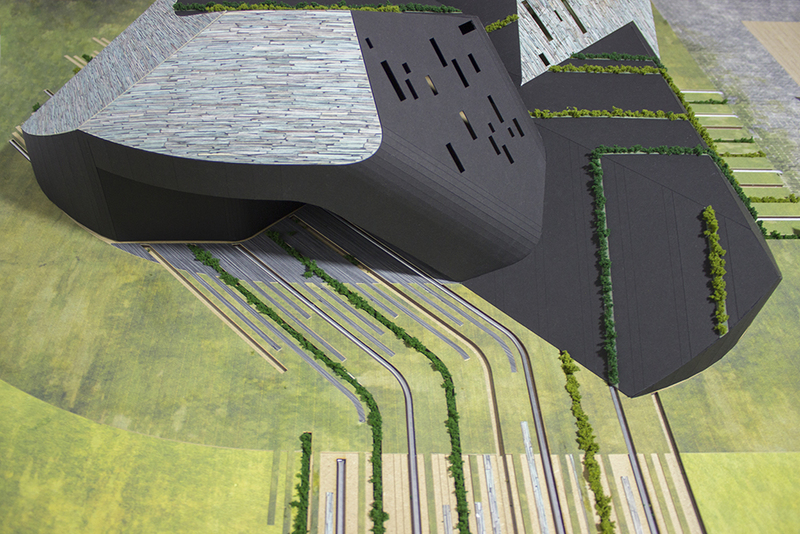 The project is trying to define the boundary by constructing landscape, mechanical infrastructure and the architecture all together. 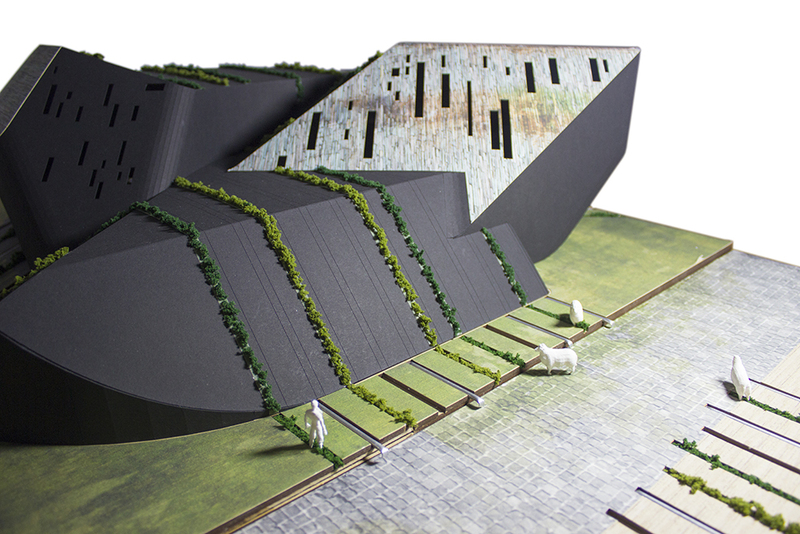 In another aspect, this project is also trying to redefine the relations between the factory workers and the visitor coming into the site. By utilizing the distribution of softscape and hardscape, we intended to accentuate the threshold between where visitor can pass versus where they are not accessible. Overall, the project create a scenario where the machinic factories coexist with the artificial field nature that blur the boundary between non-human space and human occupancy.